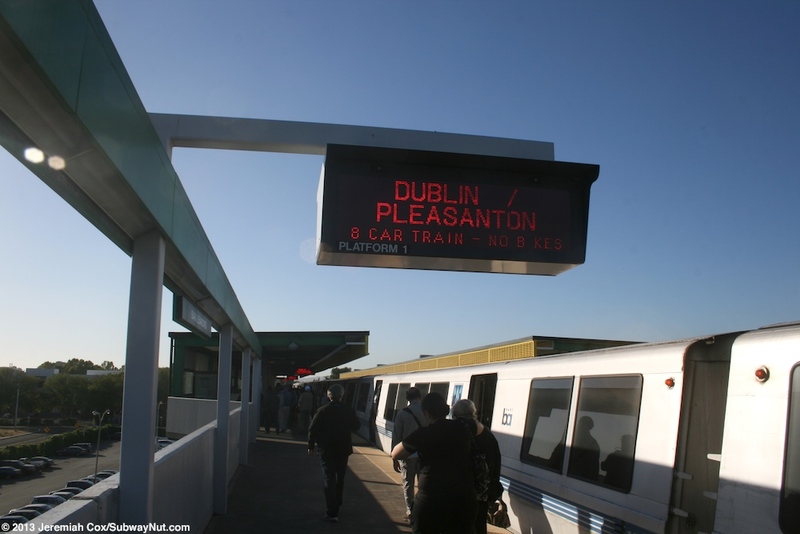 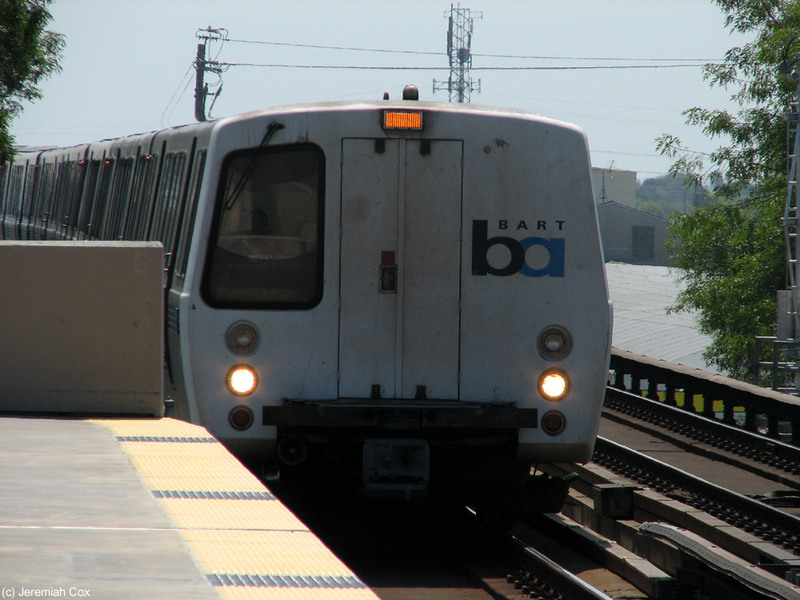 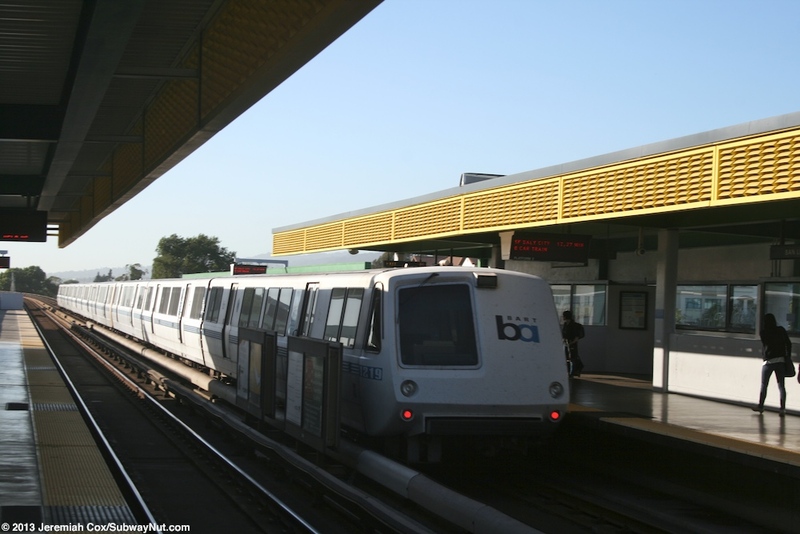 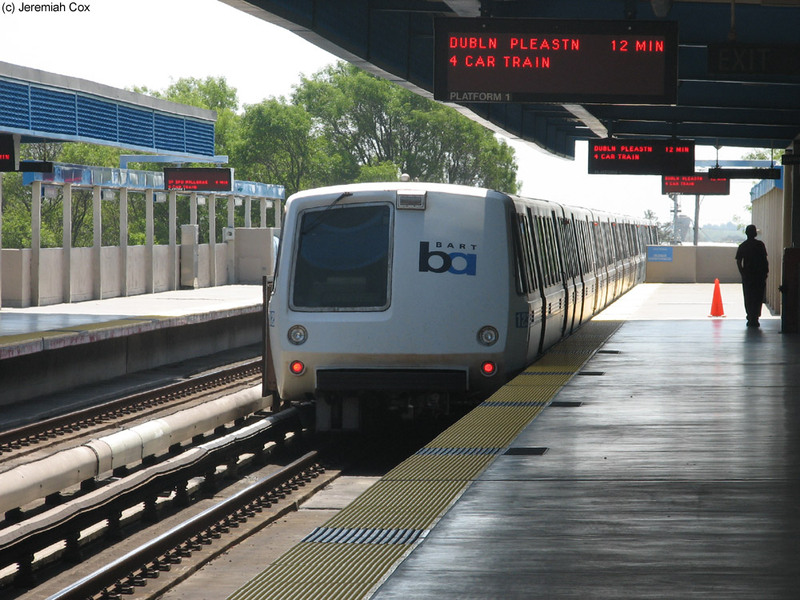 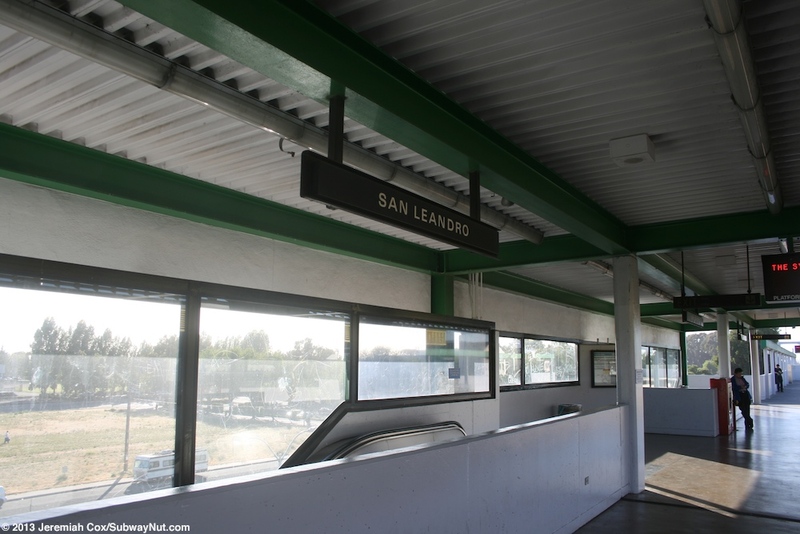 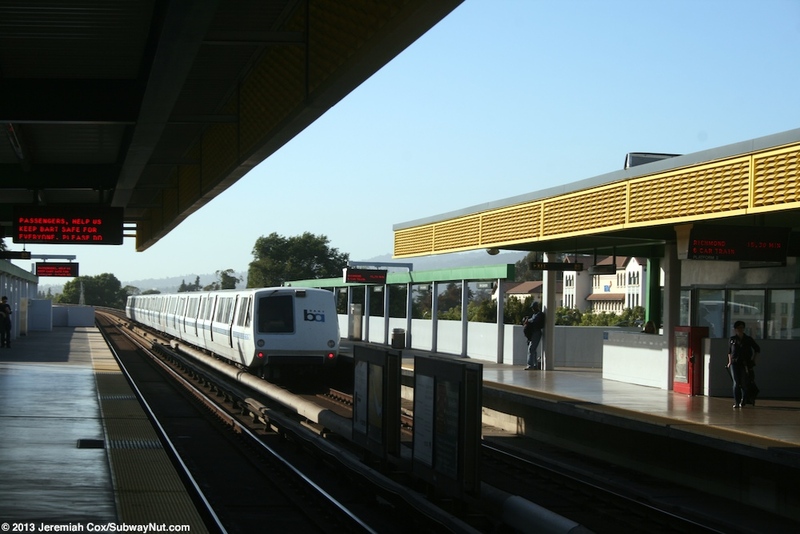 San Leandro is one of the original BART stations that opened on September 11, 1972. 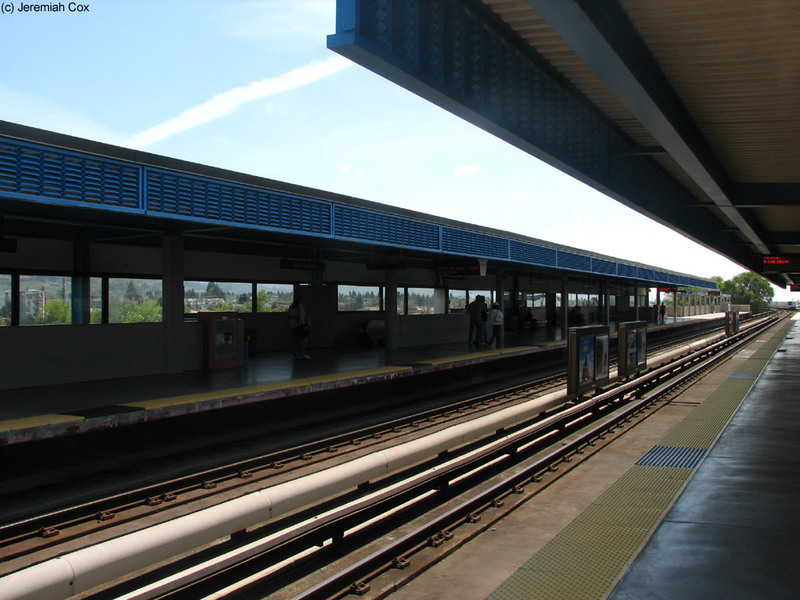 The station consists of two side platforms for two tracks on a concrete elevated guideway. 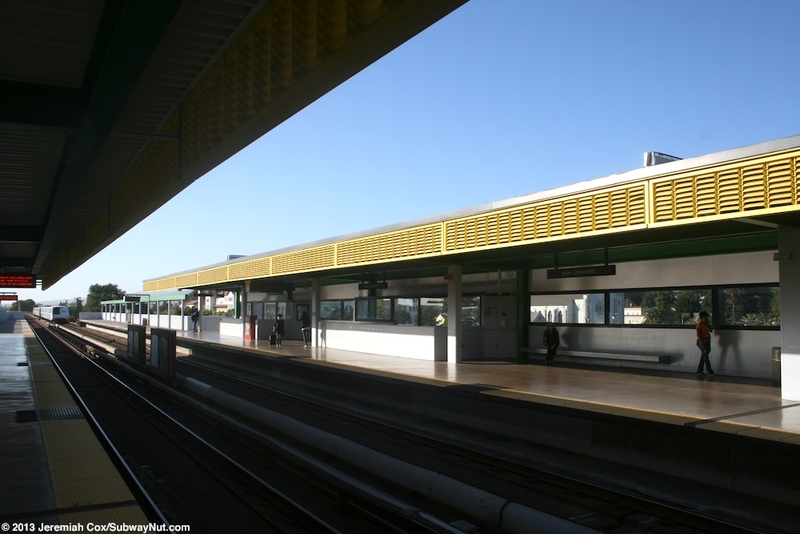 These platforms have canopies (with a line of plexiglass windscreens) for their middle thirds with green beams holding up the canopy. 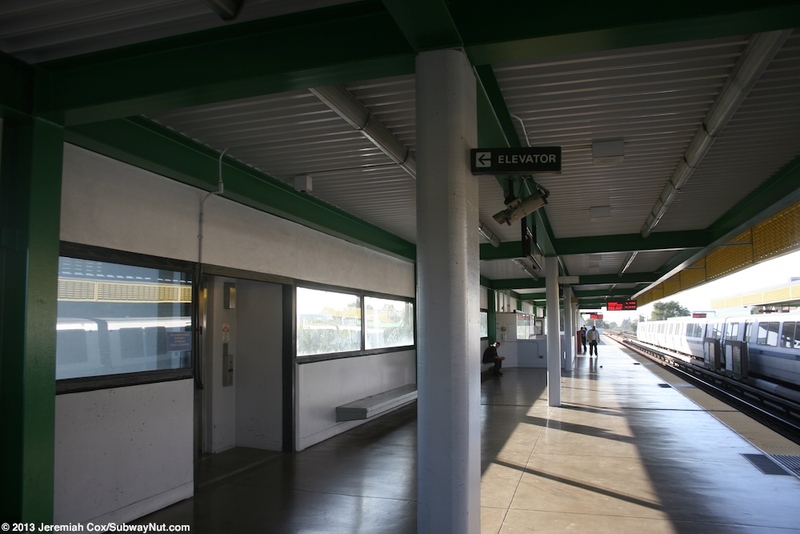 The edge of the canopy has a grate hanging down that is orange. 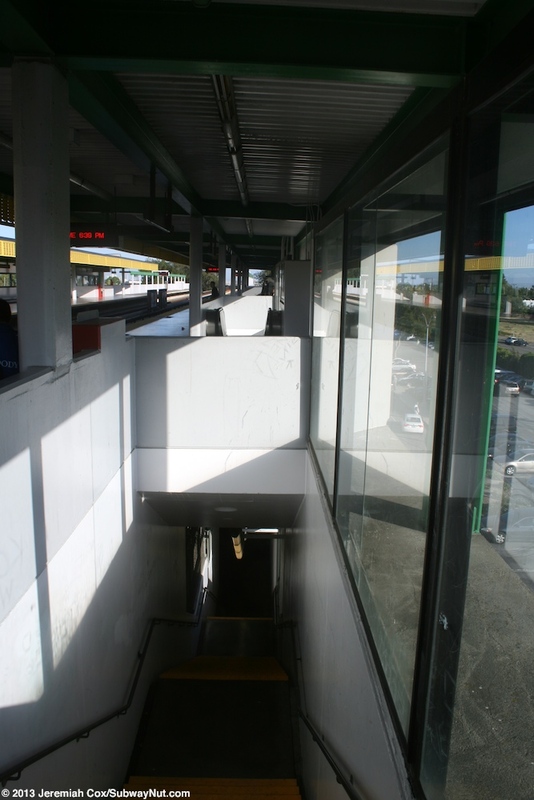 On a 2006 visit the beams were painted light blue. 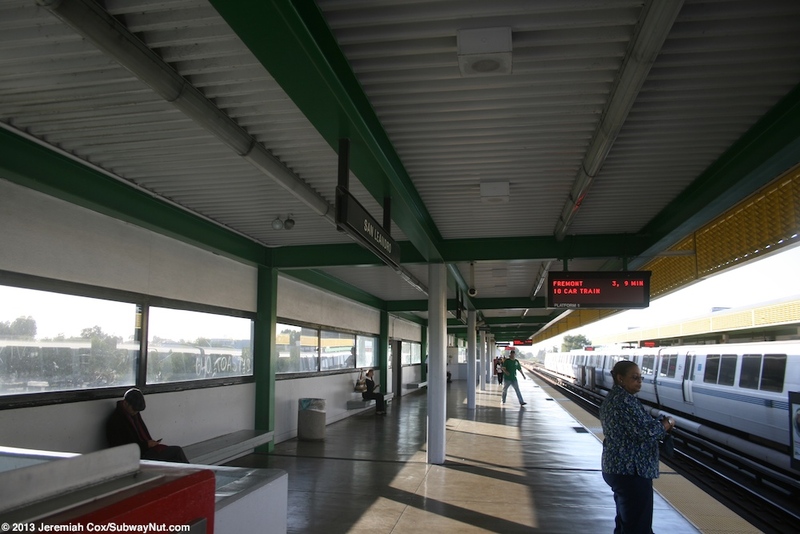 The rest of the platforms have simple, low white concrete walls where white pillars hold up green beams at each end. 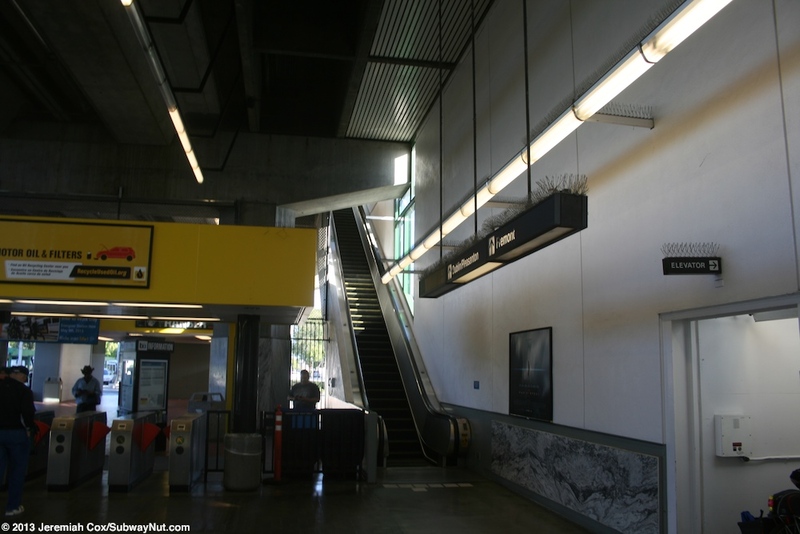 Fare control is accessed via a staircase, escalator, and elevator from the middle of the platforms down to a ground-level airy fare control area. 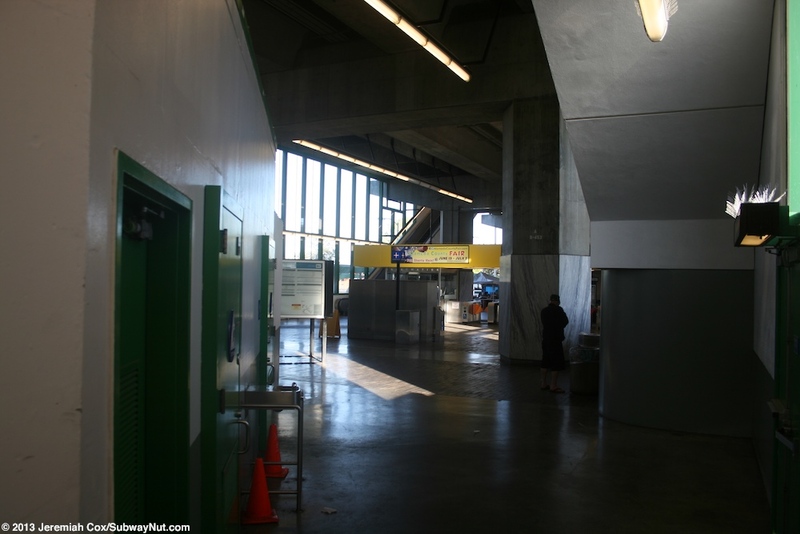 This fare control area has glass walls held up by green pillars. 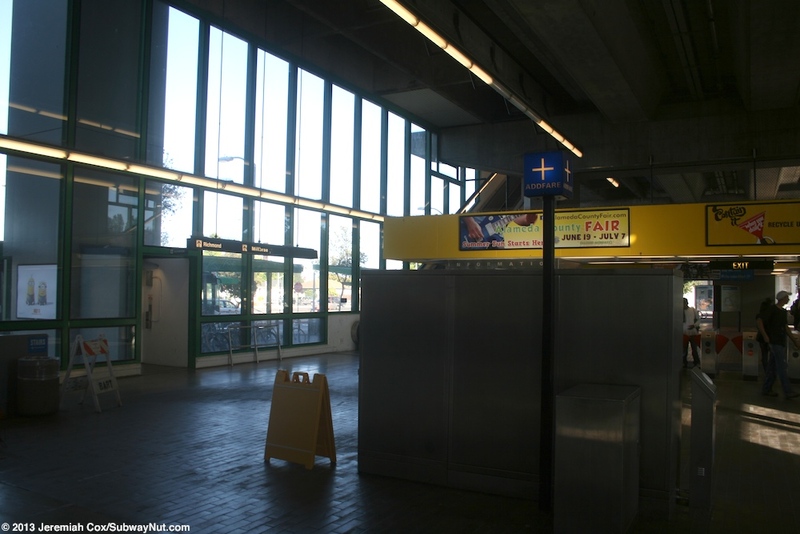 There is one set of fare gates along the southern side of this fare control area. 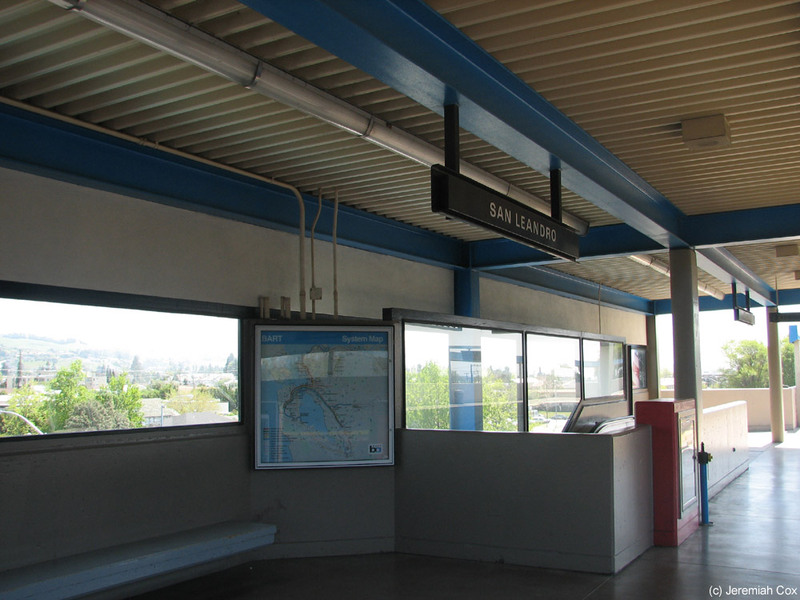 This leads to a bus loop along the eastern side of the station with about ten stops that have blue canopies and easy access from San Leandro Blvd. 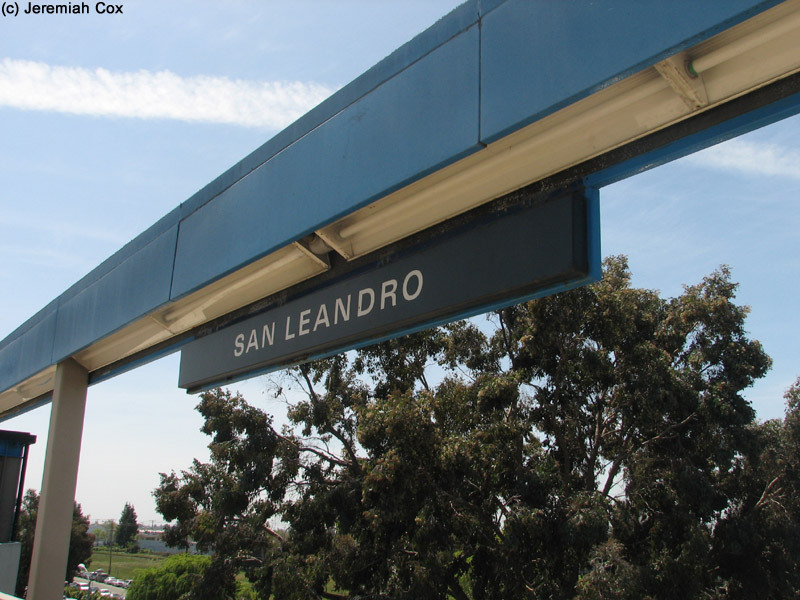 Buses that stop at this loop include AC Transit Bus routes and the San Leandro LINKS Free Shuttle that runs during rush hours to the surrounding Business District. 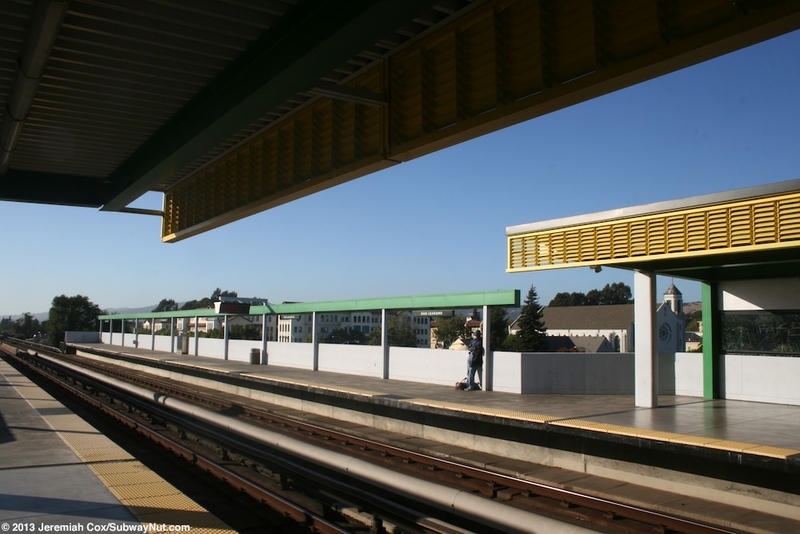 Around the rest of the block the station is above bounded by Parrot Street to the south, Davis Street to the north (beyond the end of the platforms, three other streets are cut into two because of BART) are Parking lots with a total of 1,224 space. 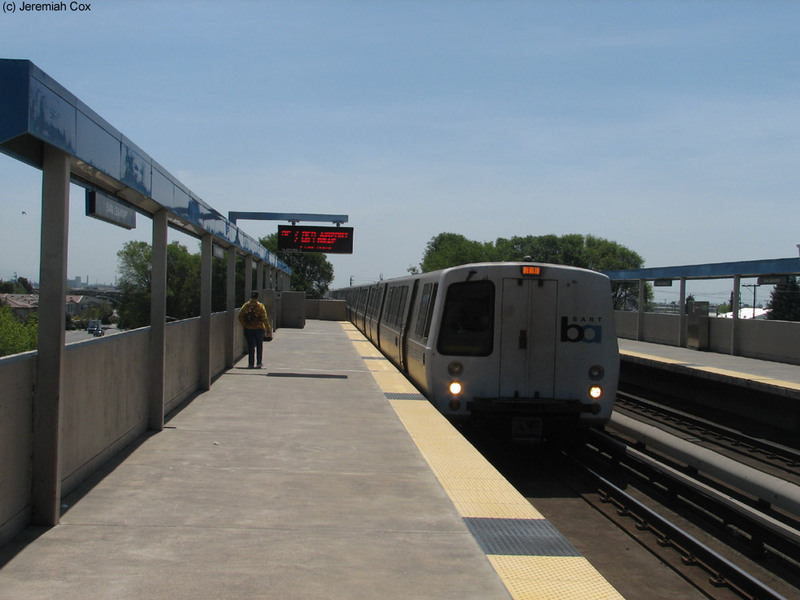 They are bounded by the freight track BART follows (with grade crossings on their west side). 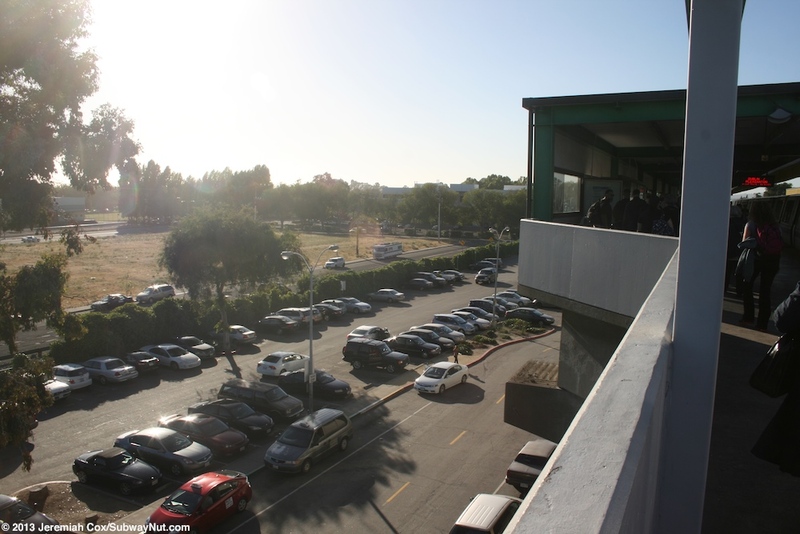 Smaller lots are across San Leandro Blvd along Juana Avenue, and south of Parrot Street.